We’re thrilled to announce our Pic-Time + SmartSlides partnership! 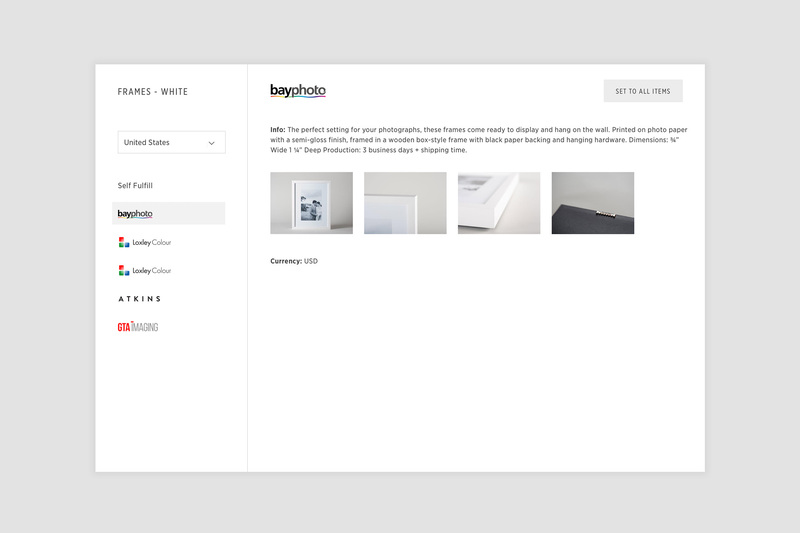 Pic-Time offers a fresh and thoughtful approach to online galleries, with a unique Client Store that is filled with products from Albums to Greeting Cards. We know that slideshows have a huge impact on your clients and help set the tone for the images that come to follow. This one-of-a-kind integration offers the Pic-Time aesthetic while allowing you to create scenes for as many slideshows as you like, as well as the option to add text alongside your video! Check out one of their sample galleries and SmartSlide slideshow here! From online galleries to printed goods, Pic-Time provides one of the largest print stores available today, curated with products and lab companies from all over the world. 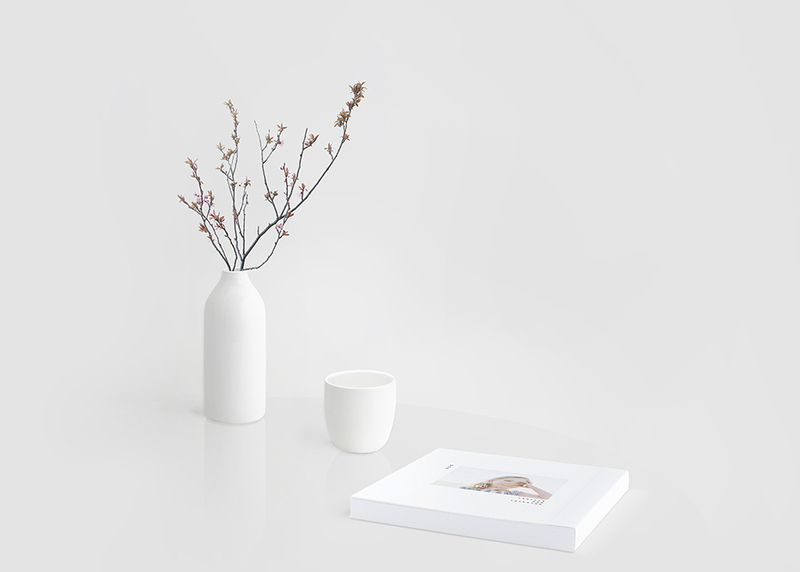 Your clients can create their own beautiful products from albums to greeting cards, all straight from the gallery. Using smart analytics and algorithms, the store creates a personalized experience. Their advanced system tracks how each user views the gallery and places the images with the most engagement directly into the store products. Decide on the products you want to offer, choose your favorite lab from their collection of partner labs, and even rearrange the tiles in your store. Your own products blend seamlessly into the gallery, and clients across the world can shop locally even when they are miles away! 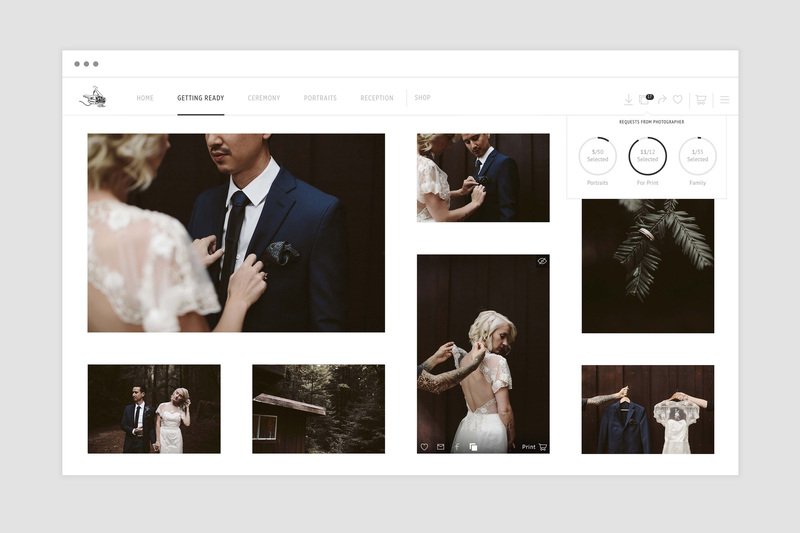 It’s not enough to just have a beautiful online store, Pic-Time provides you with the tools you need to boost sales and increase your revenue. 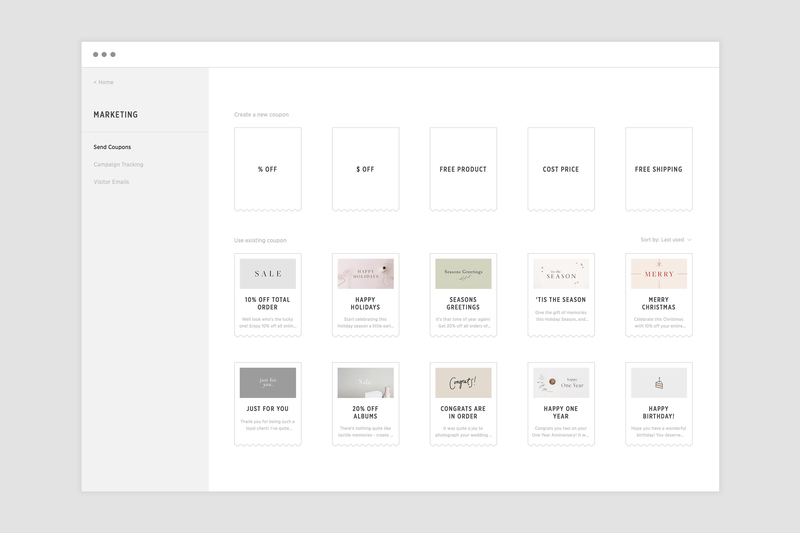 Easily schedule email campaigns and share interactive coupons, all while maintaining a cohesive aesthetic. 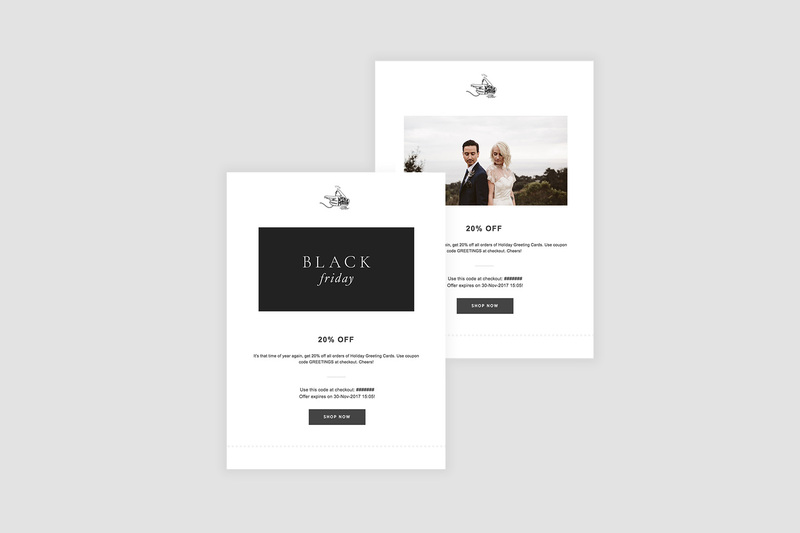 We love the extensive variety of pre-designed layouts available to choose from, making it easy to boost sales for any occasion, from Black Friday to an anniversary. Collect visitor emails for each gallery and share targeted coupons. 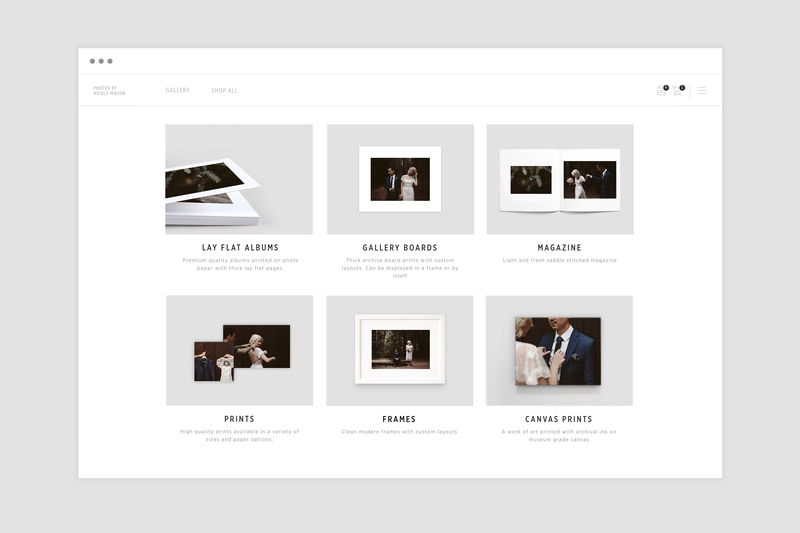 Now everyone from bridesmaids to grandparents can be reminded of those beautiful moments and purchase products from your gallery. Bonus Tip: Try sending coupons to your older clients. This will help bring your dormant galleries back to life and increase revenue long past the deadline. At Pic-Time, the visual and the technical come together creating intuitive tools to help support efficiency, design, and business growth. Simply select your image files and continue on with your day! Galleries are ready within minutes while the hi-res files upload in the background. Your gallery will be automatically sent off once it’s ready so there’s no need to sit around and wait for the images to upload. 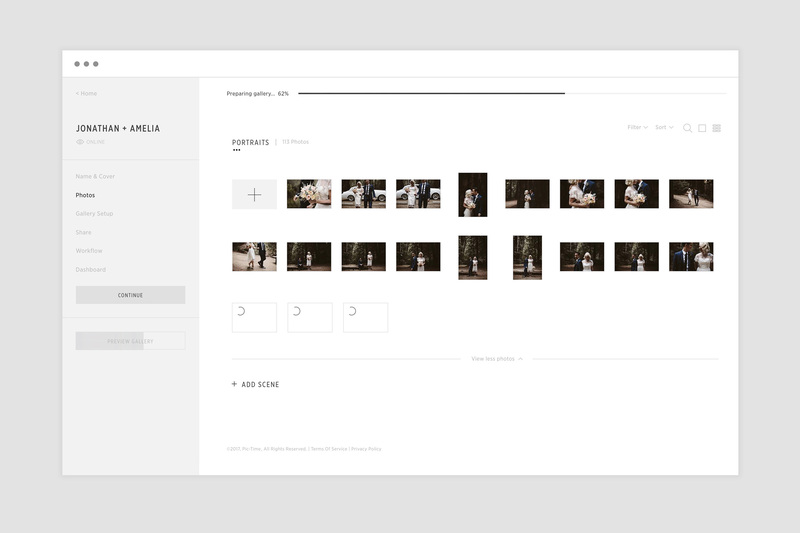 No matter what your current workflow is, Pic-Time's Client Selection tools are sure to help speed things up. Easily gather client photo selections through branded emails, keep tabs on the selection process, and even send automatic reminder emails. Once everything is finalized, you can download their photo selections, or design and send products straight from the store. The Pic-Time team works hard to provide stellar support and help the community, no matter the day or time! If you need to reach support, simply send a message through their live chat support or shoot them an email. They really do take care of it all! Ready to Dive In? Pic-Time’s gallery and store is definitely a game changer, see for yourself for free! All SmartSlides users will receive 2 additional free months when they sign up for a paid plan. Hurry, this offer ends October 18th!